A Fulbright Scholar from Queensland will spend 2018 undertaking research and training in sophisticated imaging techniques to better understand how promising drug candidates enter the brain. 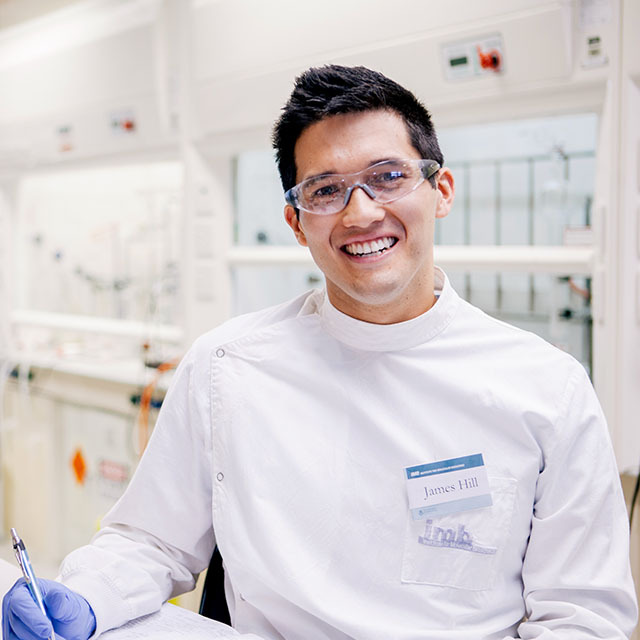 James Hill, supervised by Dr Avril Robertson and Professor Matt Cooper at the University of Queensland’s Institute for Molecular Bioscience, has been awarded the Fulbright Queensland Postgraduate Scholarship to assess how well promising Parkinson’s disease drugs cross the blood-brain barrier. Mr Hill said the passage of substances from the bloodstream to the brain is restricted by the barrier of high-density cells, contributing to the failure of many central nervous system-targeted drugs in human trials. “Positron emission tomography (PET) allows us to non-invasively track compound permeation into the brain,” Mr Hill said. “This requires mildly radioactive atoms to be incorporated into a molecule, without altering their pharmacological properties. Mr Hill will spend 10 months under the guidance of Associate Professor Peter Scott at the University of Michigan, synthesizing PET molecules for Alzheimer’s research before applying the same techniques to the Parkinson’s compounds. He aims to establish these methods at UQ’s Centre for Advanced Imaging when he returns to Australia. “This will not only benefit our Parkinson’s project but others wishing to utilise similar techniques,” Mr Hill said. The Fulbright Program is the largest educational exchange program in the world, with students, academics and professionals travelling to and from the USA to study, teach or research.